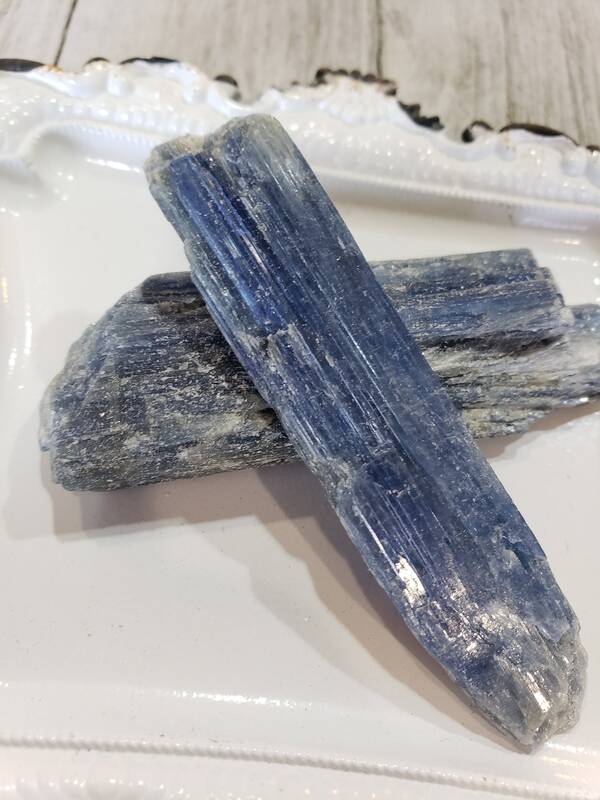 Listing is for ONE Blue Kyanite blade. Each is 3 inches long. Gemstones have been used for ages for rejuvenating and balancing the state of mind, body, and soul. They interact with our body through resonance and vibrations. Each gemstone has its own unique properties and meanings. These days, many people can be seen turning towards crystal healing. One such healing gemstone is Blue Kyanite. 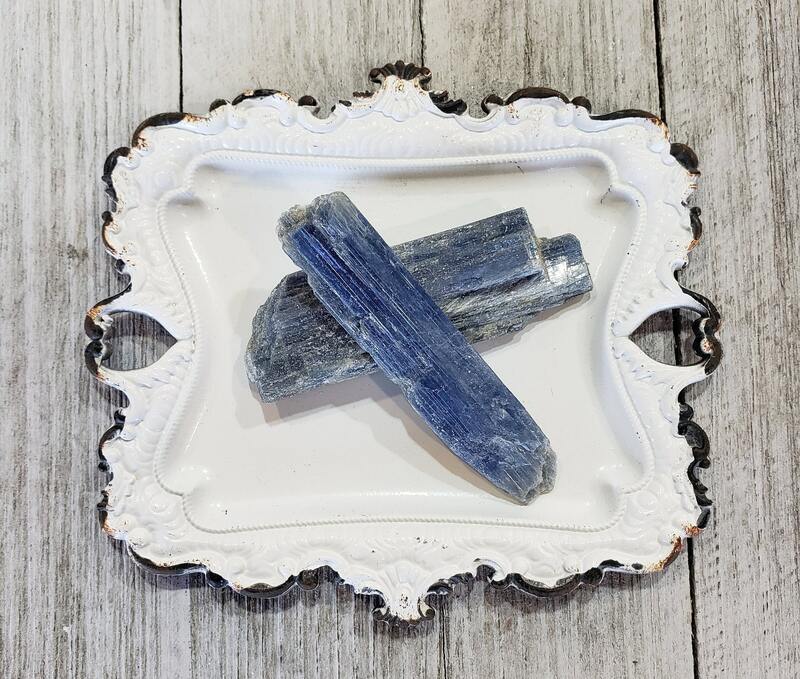 Blue Kyanite helps to speak one’s truth with clarity, making it a great stone for public speakers and performers. Blue Kyanite is also useful for healing throat and voice ailments. Blue Kyanite also facilitates an alignment of all the subtle bodies, creating a larger and stronger aura. Kyanite aligns all of the chakras, and can be used to open them as well. Kyanite also aligns all layers of the aura. 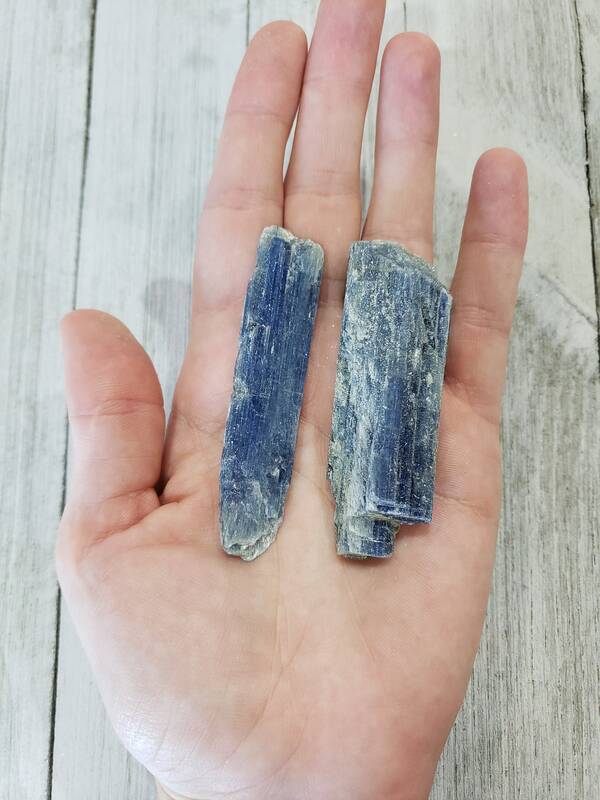 This makes Kyanite an excellent choice for any type of balance or energy work. I love to use Blue Kyanite to meditate with, or to quickly align the chakras.